Regular physical activities such as exercise have a positive impact on physical and mental health, especially in older adults. We all have heard how lack of exercise affects physical fitness and other aspects of human life. It is important to note that the benefits for aging adults who exercise on a regular basis far outweigh the risks that are many believe come with increased physical activity. For older adults with diseases and disabilities, it can be hard to find the perfect place or way to exercise. This often why many have a sedentary lifestyle. 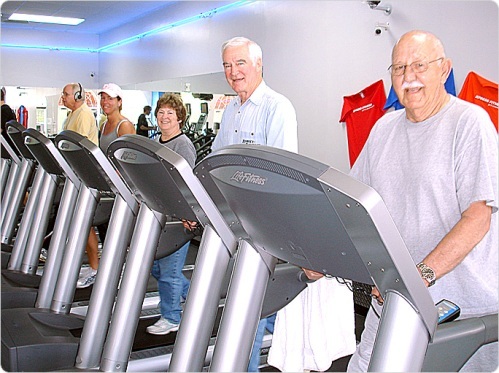 The seniors fitness program in Canton, MA has emerged a a great place for aging adults to exercise. This program is strategically developed with the specific limitations and physical conditions of the older adults in mind. If you are an interested in making a change and living a healthy lifestyle instead of a sedentary one, a certified personal trainer can help. In a venue where it is easier to exercise with routines you will enjoy and be safe fitness results are guaranteed when done regularly. To find out more about senior fitness programs, contact Answer is Fitness.